The main criteria affecting grading include: degree of climbs and descents; difficulty of the surfaces to be ridden; level of bike handling skill required; and total distances covered. 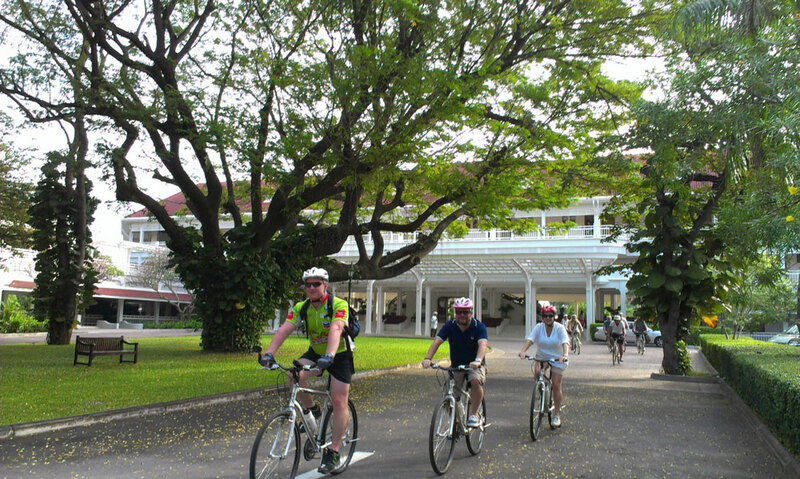 Our trips require basic fitness, preferably acquired through cycling; and please remember that any cycling involves some physical exertion, so you can expect that you will feel tired even on an ‘easy’ or ‘moderate’ trip, particularly in the heat and humidity of Thailand. PLEASE NOTE: Conditions for a particular ride may also vary depending on the time of year/season. The main benefit of grading is to provide an overall indicator to compare one trip against another. Suitable for anyone who can ride a bike and can manage a bit of exercise. No routes are 100% flat, so there might be the odd climb and descent, but on the whole – easy! Suitable for reasonably fit people who are confident riding longer distances. Reasonable fitness is more important than technical ability for trips of this level, and someone who runs, cycles, swims or practices aerobics once or twice a week will be more than happy on these rides. Longer cycling days mainly on tarmac, with potentially some dirt and gravel trails or broken tarmac, but no real off road. There may be some hills and descents but not too many. You should have some fitness and be prepared for the bike trip. Long cycling days and tougher terrain (both on- and off-road trips) requiring specific experience of more demanding and technical cycling. The routes can contain rough tracks, so some off-road riding skills are an advantage. 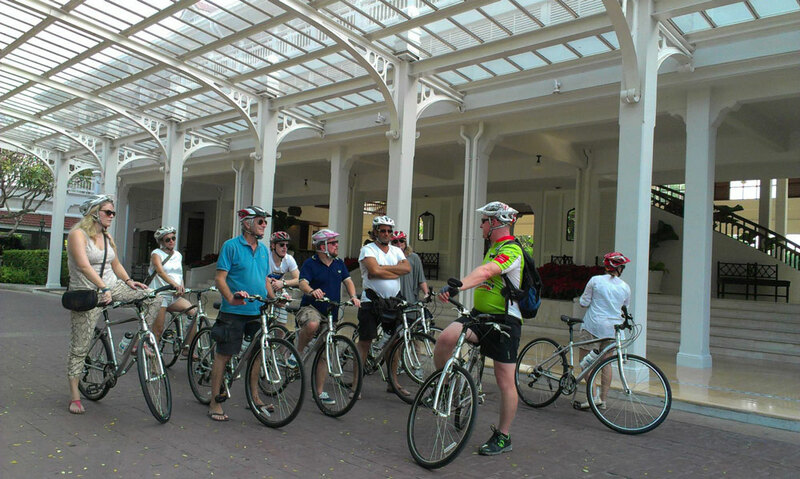 You should be confident of your physical condition and bike handling skills. This ride caters to “Confident Cyclists” as we do spend some time in downtown traffic and ride up and down a few noticeable hills. Although we start early in the morning, it can get very hot and we suggest you wear sun lotion and bring extra with you. Supportive shoes are important as we usually have options for doing some treks off the bikes. An extra t-shirt is recommended for the van ride home. If you are concerned about the weather please consult us. DO NOT believe the weather forecasts. Don’t forget to bring a camera or video camera! We ask for a 50% deposit to confirm the booking (we usually send an online invoice) and the remaining 50% can be paid in cash during the tour.